Per the group's spokesperson: "The video is not an attack on Mugabe at all. It is a tongue-in-cheek challenge for him to reflect on things and become the hero he used to be, to consider his actions and surprise us. We are not afraid of his reaction. Why should we be in a democratic world?" Good luck with that! 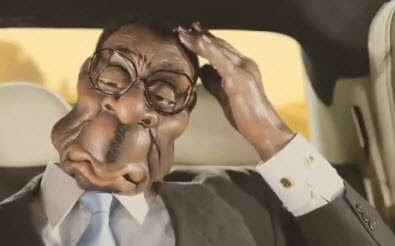 It could be risky "playing chicken" with Mugabe!